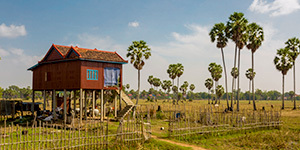 As we said before, this craftsmanship is one of the most significant in the country as the great city of Angkor was built upon it. 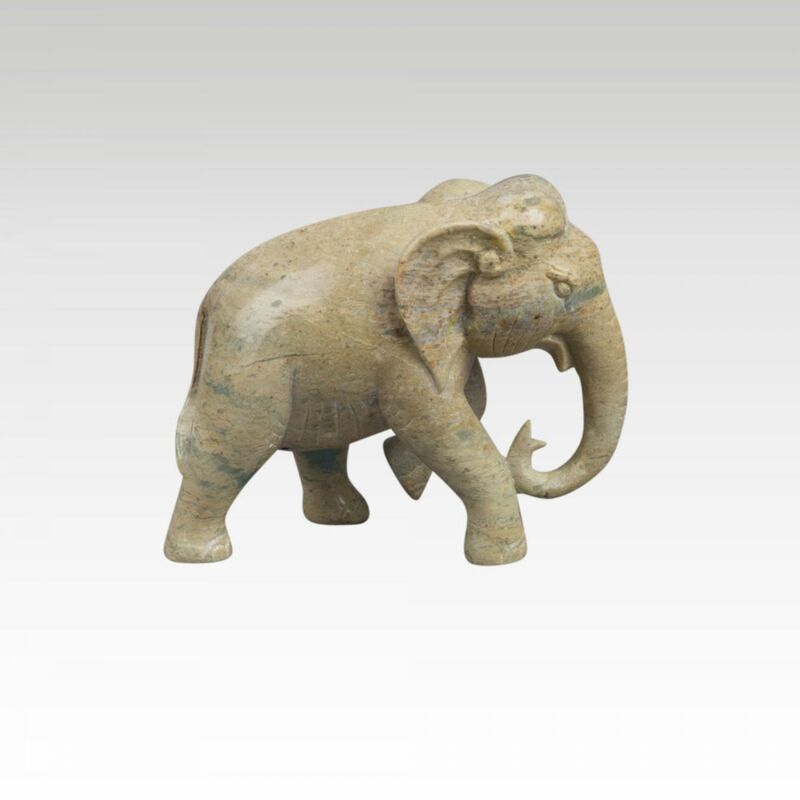 Artisans start by taking the measure by rough-hewing the pre-cut blocks of stone to come up as closely as possible with the shape of the final statue or carving. This piece is called “ebauchon”. Once the preparation stage is over, they begin the actual work of sculpting using ancient handicrafts techniques, from the beginning to the finishing of the statue. When craftsmen remove a chip of stone, the result is irreversible. So this stage has to be done by carefully measuring every inch of the original of the model made of concrete cement with a compass. In order to define more precisely the shape of the final sculpture, they cut the block with straight vertical cutting gestures, using only two tools: a chisel and a mallet. In order to complete the molding, curves and volumes are drawn and meticulously smooth the edges off with gouges, chisels, scissors and scrapers. 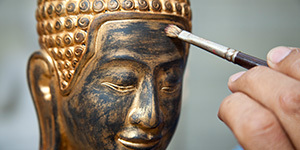 To complete the process, artisans remove the remaining harsh parts by polishing the curves of the statue with sandpaper. This final stage requires the use of abrasive materials, sandpaper and water to remove any tool marks and finely smooth off the carving. Sculptures are finally cleaned with water to rub out traces let by the carving tools and some of them are protected and embellished with lacquer and gilding. Each artisan has his/ her own way of working, some going about their carving with gentle movements while others do it more firmly. The result is that each piece is truly unique. It is produced, not by a molding, but with the patience of an artisan who becomes, through long hours of meticulous work, a real expert. 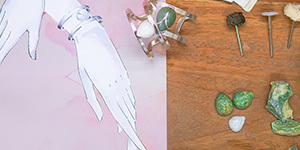 In a sense, each piece bears the mark of the artisan who produced it. 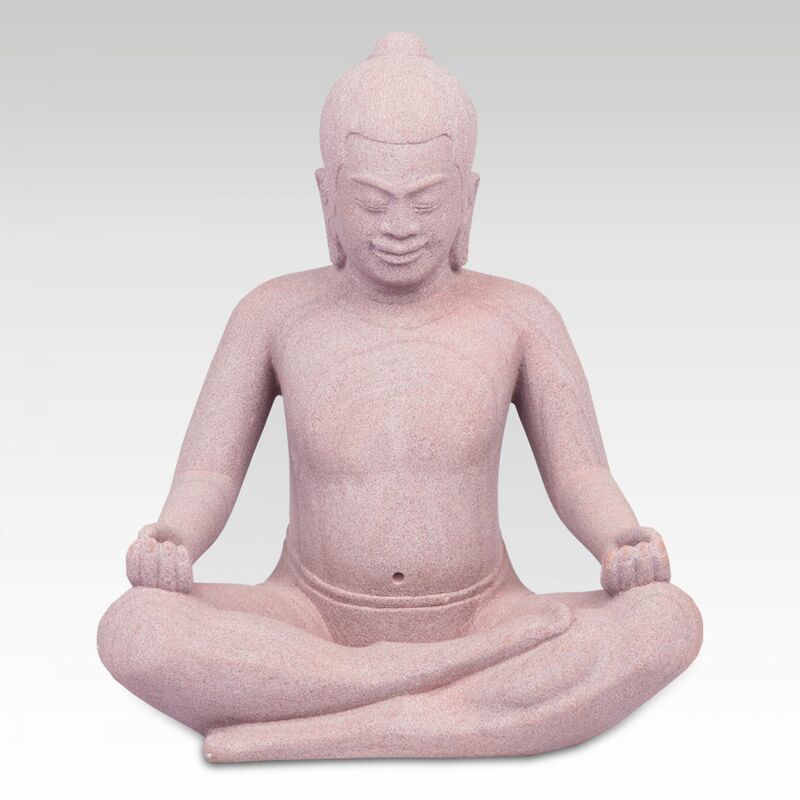 For example, the smile on a Buddha statue will always differ from another one as the craftsman or woman has its own way of carving. 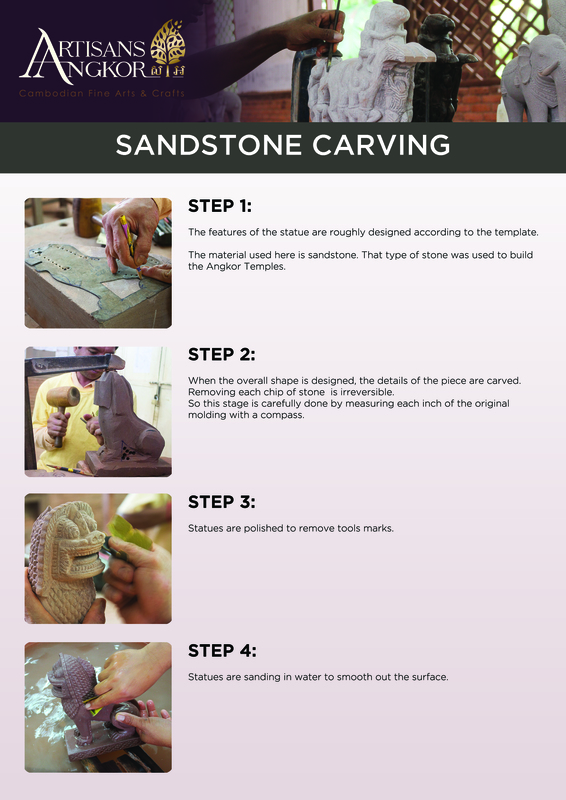 It takes around 2-3 weeks to carve a statue or a bas-relief. 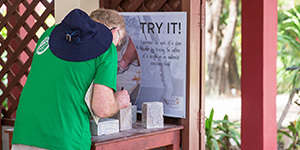 If you ever come to visit us in our main center located in Siem Reap centre, you will probably enjoy discovering the different stages of stone carving production.